I’m in the mood for entertaining! It could be because summer is finally here. The days are longer and the weather is nicer (usually!). Or perhaps, it could be that I have a brand new kitchen that I want to show off. It’s a dream to cook in and let’s just say I’ve been busy with recipes – both new and old faves! I’ve made chili lots before and it’s comfort food that my family loves. I typically think of chili as more of a winter recipe, but I still can’t help but crave those fiery flavours. Nachos, on the other hand, I think of summer parties. 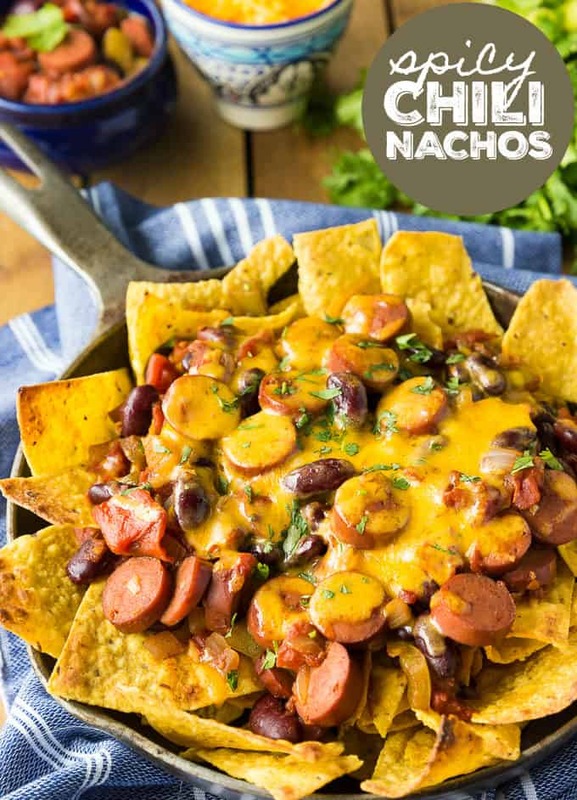 I came up with the idea of combining the two together to create the perfect recipe for summer entertaining: Spicy Chili Nachos. Your friends and family will love them, I’m sure! You’ll need the typical chili ingredients like tomatoes, onions, garlic and green pepper. 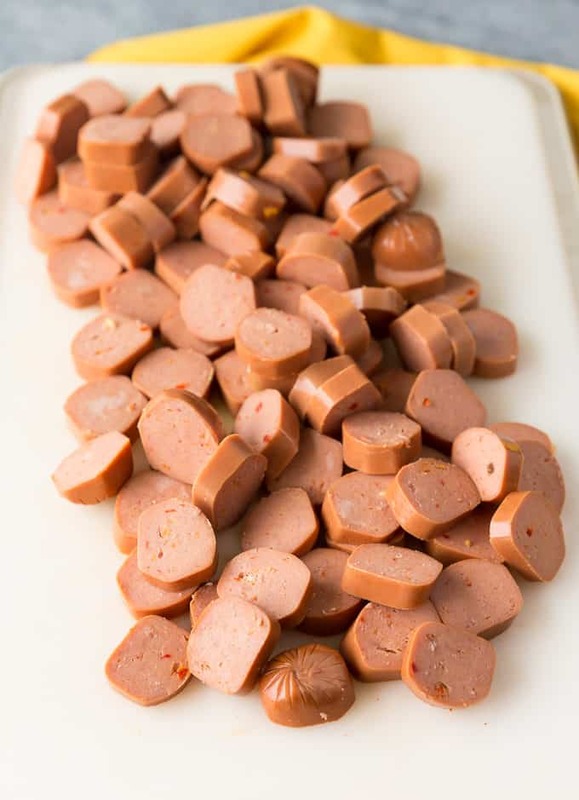 In my recipe, I use Maple Lodge Farms Spicy Ultimate Chicken Frankfurters instead of ground beef. You may be thinking, “Stacie, frankfurters in a chili recipe?!”. Trust me, it works! These frankfurters are made with chicken and loaded with lots of spicy deliciousness. They are a perfect addition that really makes the recipe sing, in my opinion. We’ve enjoyed them BBQ’d and served on a bun the traditional way. This was my first time using a frankfurter in a chili recipe, but it won’t be my last. I chopped them up into small rounds so they’d be easy to scoop onto the nachos. You can see the flecks of red spice that add so much yummy flavour. If you know you are having company over, prepare a batch in the morning and have it simmering on the stove until you are ready to eat. I simmered mine for 30 minutes because I wanted to dig in, but leaving it a little longer on low will be fine. If there is any chili left over, eat it the next day. It makes a nice, big batch to feed a hungry group of people. I bought the thicker cut of nacho chips so they’d hold up better to the hearty chili. There’s a whole lot of YUM going on here! Don’t you just want to dive right in? My cousin and her family stopped over and we all inhaled this recipe. 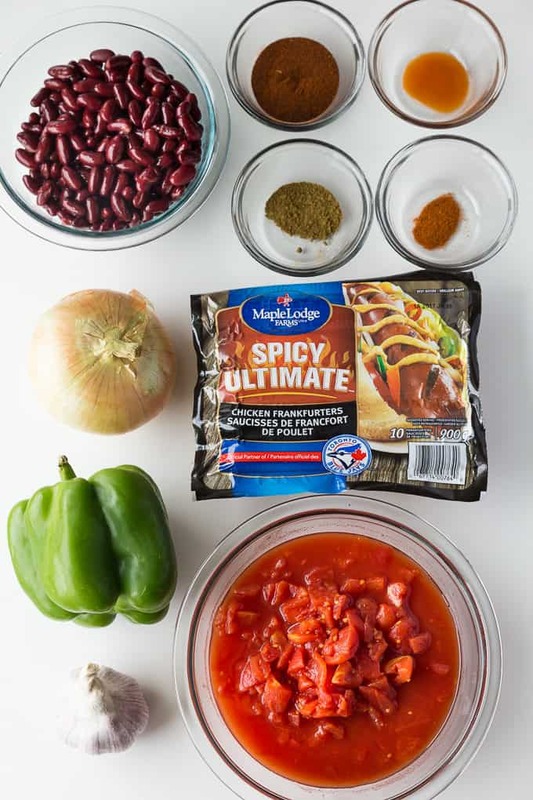 They thought it was genius to use the Maple Lodge Farms Spicy Ultimate Chicken Frankfurters in the chili. Cheese + Frankfurters + Spice = #winning. 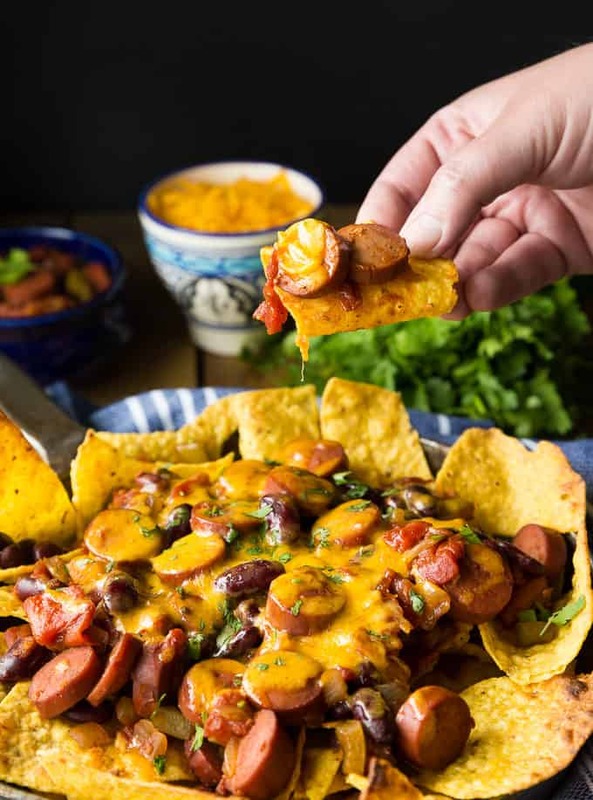 Other occasions that these Spicy Chili Nachos would go well with are family game nights, sport’s nights/afternoons or movie nights. Basically, anytime you’d want to enjoy some hearty comfort food! 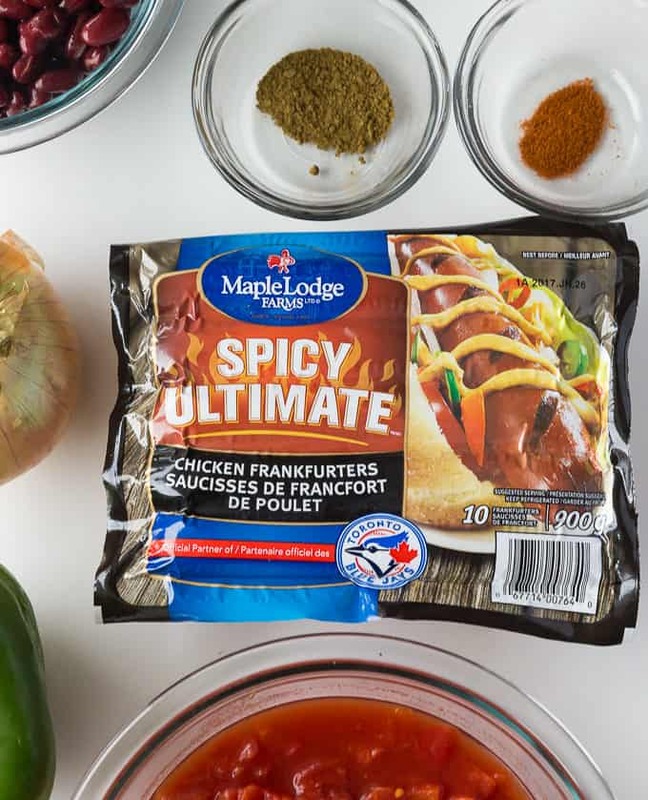 I hope you’ll pick up some Maple Lodge Farms Spicy Ultimate Chicken Frankfurters and try out my recipe! I’d love to hear what you and your family thought of it. Maple Lodge Farms has a fun contest, The Great Canadian Cookoff, going on right now where they are asking you to pick a side. That is, are you Team Spicy or Team Smokie? You could win a family BBQ prize pack. If you loved my Spicy Stir-Fry or these Spicy Chili Nachos, you may be on Team Spicy. I’ll be featuring a Team Smokie recipe soon so stay tuned! You might also like these Potato Nachos. What is your go-to recipe for summer entertaining? Connect with Maple Lodge Farms on Facebook, Twitter and YouTube. Perfect for entertaining! This easy recipe is packed full of fiery flavour. In a large pot, heat olive oil over medium high heat. Add in onions and green peppers. Saute, stirring frequently, until softened, about 5 minutes. Add garlic and Maple Lodge Farms Spicy Ultimate Chicken Frankfurters and continue to cook for an additional 2 minutes, stirring frequently. Stir in chili powder, cayenne pepper, cumin, hot sauce, kidney beans and tomatoes. Bring to a boil. Once boiling, reduce heat to medium low and cover. Simmer for 30 minutes. Place tortilla chips on a large baking sheet or in an oven proof skillet. Top with chili and cheese. Broil for 1 to 2 minutes or until cheese is melted. Sprinkle with cilantro and serve hot. I have never thought of using hot dogs for nachos, but HOW brilliant and fun! I am going to have to give it a try for the kids!!!! Great recipe Stacie!!!!!! I love making tutus! It’s one of our family’s favorite snacks when we have a family movie night. This one looks simply delicious we may have to try it for family night tonight. Those look amazing! I love that you even included hot dogs! 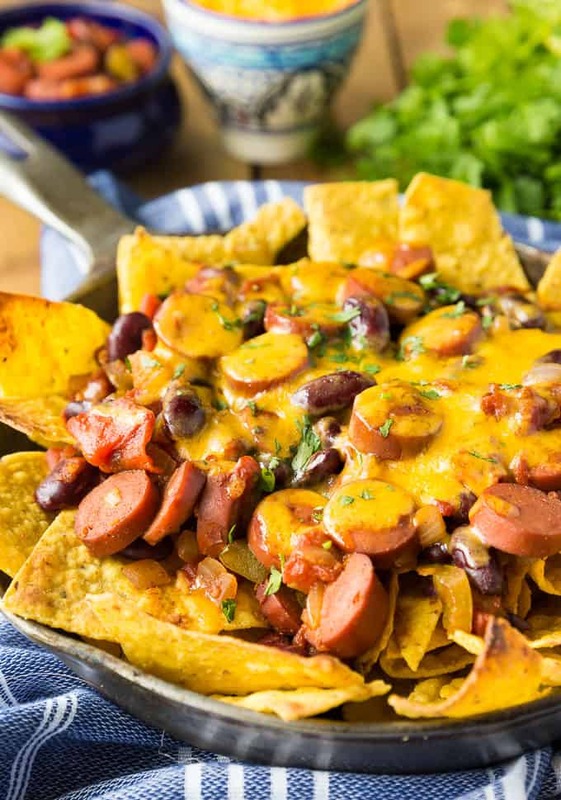 Chili cheese dog nachos sound incredible. These nachos look really good! I love the cheese and spicy chili additions! 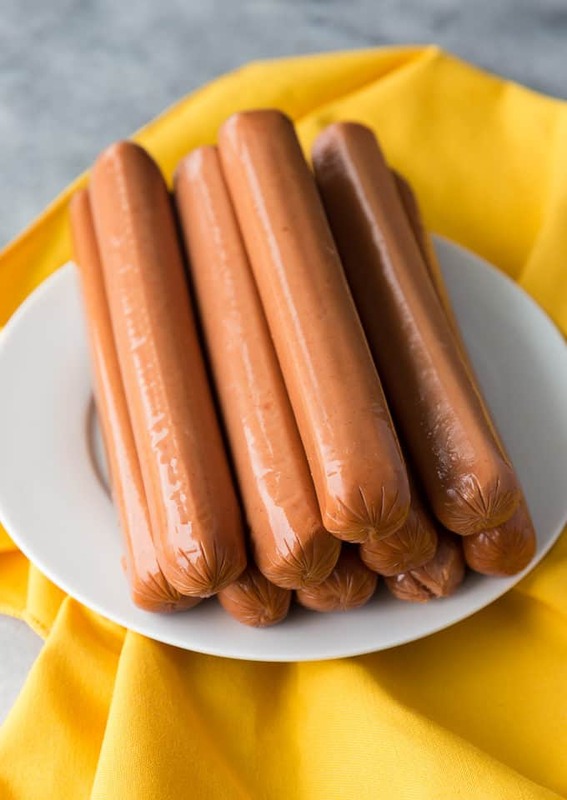 Okay when I saw the hotdogs I was ready to scroll past but the end result looks amazing! I bet the textures are great on this! I’ve never seen spicy hot dogs, but I’m definitely going to be looking for them now! I love nachos! 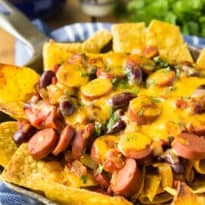 I would never think to use hotdogs in nachos! Genius! My kids would eat this all up. I’ve never seen spicy hot dogs – game changer for sure! I can’t wait to find these. You seriously had me at Nachos! It’s dinner time here and I’m for real craving these right now! Might have to see what ingredients I need and send the hubby for a shopping run! We absolutely love nachos as a snack. These look like they would be perfect for either a lunch or a tide over until dinner for us. Wow these look amazing! My mouth is watering! I love that you used hot dogs. That is something I would not have thought of! These. Are. Genius. I mean, hot dogs on nachos!? A true game changer. Cannot wait to try these! Yum! These are my kind of nachos. They look great and sound like they have a ton of flavor. My son is going to DEVOUR these nachos. I like the flavor combos in this recipe and I bet it will be a huge hit with all of us! Your nachos look so delicious. I haven’t tried adding frankfurters to chili before. What a great idea. These sound really good. I can hardly wait to try them! I’m a nut for nanchos or any nacho variation. This looks very tasty! I love nachos and those look so good!! Thank you for this inspiration! 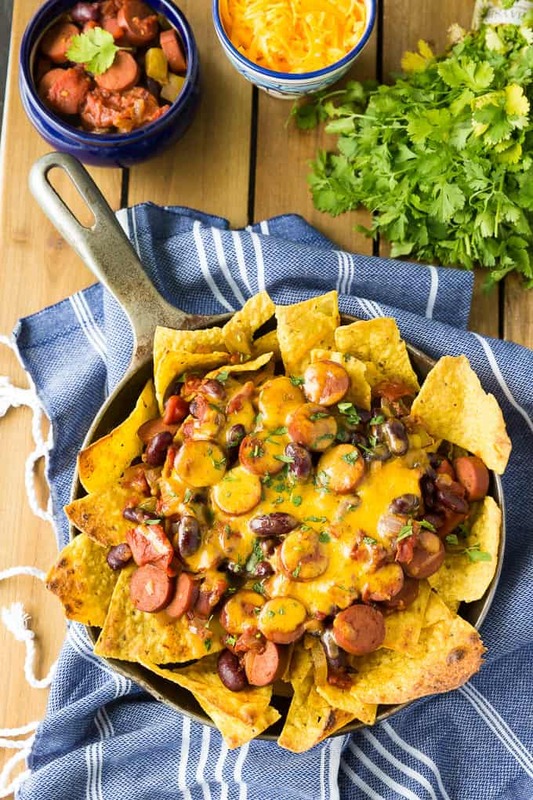 We are hot dog fans, so your Spicy Chili Nachos using hot dogs look great! I sure appreciate you sharing with us at Full Plate Thursday. Have a great week and come back soon! I can see my husband like these chili nachos, and it being the entire meal, not just an appetizer. This looks like a tasty little treat.